On Thursday January 24th, 2019, the Waterloo Police Dept. arrested a 13 year old for Forcible Touching, a class A misdemeanor. 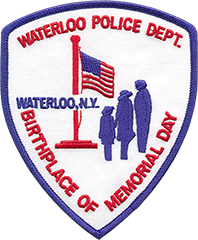 It is alleged that on December 5th, 2018, in the Village of Waterloo, the 13 year old did intentionally and forcibly touch another 13 year old. The 13 year old was issued an appearance ticket and is scheduled to appear at a later date at Seneca County Family Court to answer the charge. The name of the arrested juvenile will not be released due to age.